A man who spent 25 years helping to direct one of the city of Bath’s most successful design agencies has taken up a new role at a Peasedown St John Church! 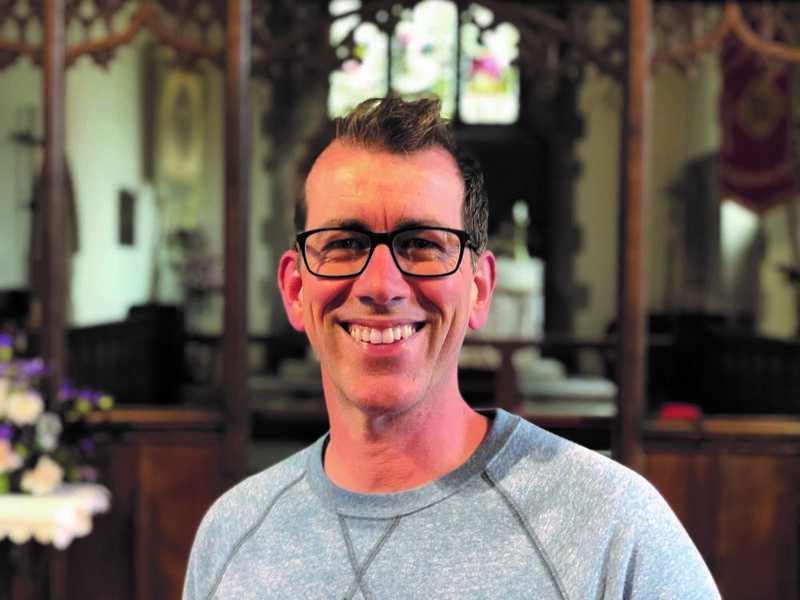 Rob Doble, originally from Keynsham, has been appointed as St John’s Church’s new Worship Pastor. He said: “I was involved in the local church choir as a teenager and have always had a love of music and listen to a wide variety from new wave to classical, blues to hip-hop. I have played in all sorts of bands from punk & indie to recently playing bass in a function band. St John’s Church has bucked the national Anglican trend over the past 13 years and seen an increase in parishioners coming through its doors. With over 100 people attending Sunday worship each week, since 2011 their Sunday afternoon worship service ‘Soul Food’ has been held at Peasedown St John Youth Centre. “Our ambition has always been to serve the community. We run a wide range of activities throughout the week in both our church building and at the youth centre.